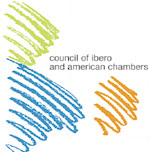 The CIAC is a group of Chief Executives of the Spanish and Latin American Chambers of Commerce based in the UK, and a spinoff of the Council of Foreign Chambers in the UK. Its main role is to promote trade and investment between the respective countries of Latin America and Spain and the UK. The Council meets about 4 times a year to discuss matters of common interest and to share ideas and best practices, thus allowing each Chamber and its members to expand its network of contacts in other Latin American countries. The ultimate goal is to better represent the interests of the Chamber’s more than 600 members companies, 80% of which are based in London and Greater London. All bilateral chambers work closely with UK government departments, diplomatic and other representative offices in the UK, British Diplomatic posts overseas and Chambers of Commerce in the UK and in their respective countries of Interest.